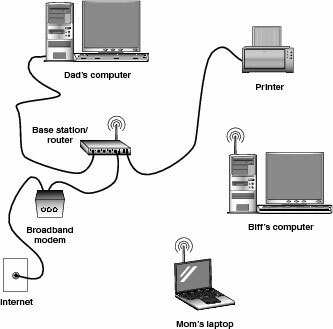 The network setup illustrated in this figure is typical but not standard. The network you create may look similar, be all wireless, be all wired, or have more or fewer components. This is all good news because the network can be configured to your needs. It’s very flexible.